She is omnivorous. No matter age or appearance, physical frailty or imperfection. It is not their flesh that feeds her appetites, but their souls. She devours young and old, men and women. She leaves only a desiccated husk. Renowned magus Taita is now over a hundred years old, and has ascended to a new level of wisdom and understanding about his world. 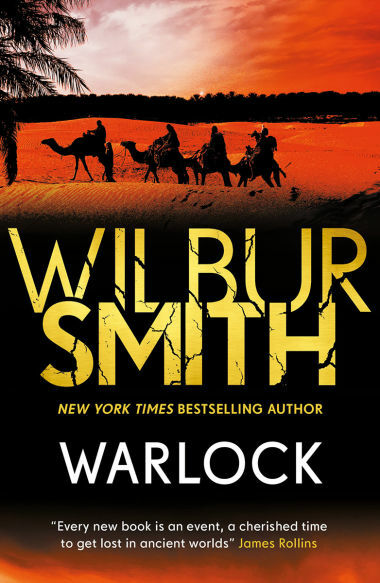 But he must prepare himself for the biggest threat Egypt has ever faced: the great plagues and the failure of the Nile, brought about by the fire witch Eos, an ancient force of sheer evil. Taita must risk his soul to battle against Eos, or his homeland and everything he has ever loved will be lost forever. But there are other reasons for Taita to fight – since success could also mean rewards he could never have thought possible . . . 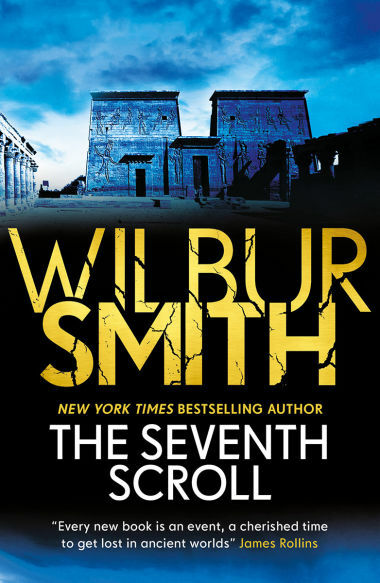 The fourth book in the epic Egyptian Series. 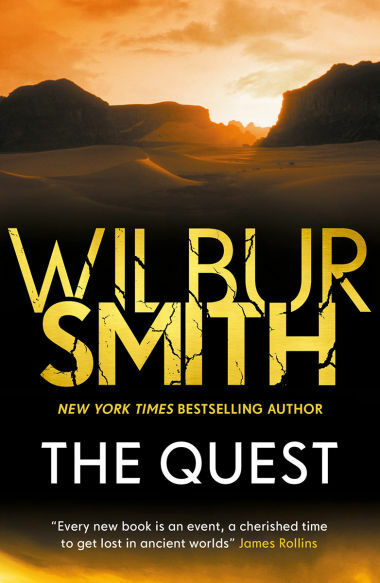 Fans of blockbuster thriller writer Wilbur Smith will not be disappointed with The Quest. Smith writes with a fresh, crisp style... full of zest... The Quest is a hefty but gratifying read, long-awaited by his legion of admirers. 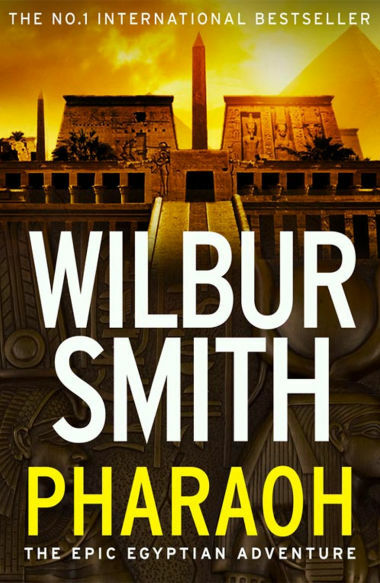 No one does adventure quite like Smith and, true to form, his latest is a swirling torrent of unexplored depths and manliness in ancient Egypt. 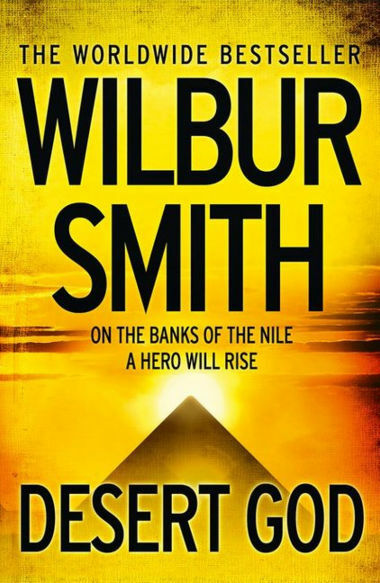 This eagerly awaited sequel to Smith's gripping Egyptian series continues in a truly magical tale. The Quest is not a book for the easily queasy. After reading the scene about Bronze Age brain surgery, you'll never look at bamboo shish kebab skewers the same way again. 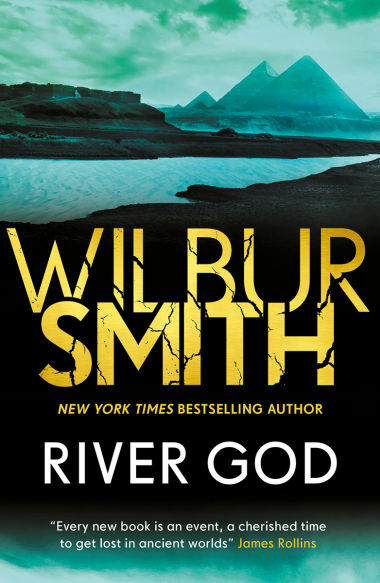 It is a novel that is violent, fast moving and utterly engrossing. It's the sort of book readers live for, the sort that sates, however fleetingly, the primal need for story that so often these days doesn't get fed. Two lonely figures came down from the high mountains. They were dressed in travel-worn furs and leather helmets with ear-flaps strapped beneath their chins against the cold. Their beards were untrimmed and their faces weatherbeaten. They carried all their meagre possessions upon their backs. It had taken a hard and daunting journey to reach this spot. Although he led, Meren had no inkling where they were, neither was he sure why they had come so far. Only the old man who followed close behind him knew that, and he had not yet chosen to enlighten Meren. Since leaving Egypt they had crossed seas and lakes and many mighty rivers; they had traversed vast plains and forests. They had encountered strange and dangerous animals and even stranger and more dangerous men. Then they had entered the mountains, a prodigious chaos of snowy peaks and gaping gorges, where the thin air was hard to breathe. Their horses had died in the cold and Meren had lost the tip of one finger, burned black and rotting by the crackling frosts. Fortunately it was not the finger of his sword hand, nor one of those that released the arrow from his great bow. Meren stopped on the brink of the last sheer cliff. The old man came up beside him. His fur coat was made from the skin of a snow tiger that Meren had slain with a single arrow as it sprang upon him. Standing shoulder to shoulder, they looked down on a foreign land of rivers and dense green jungles. ‘Ha, good Meren, surely it has not been that long?’ Taita asked, and his eyes sparkled teasingly under frost-white brows. ‘Nay, we have not.’ Taita shook his head. ‘But take comfort, for at least we have made a good beginning.’ Now he took the lead and set out along a narrow ledge that angled down across the face of the cliff. Meren gazed after him for a few moments, then his bluff, handsome features creased into a grin of rueful resignation. ‘Will the old devil never stop?’ he asked the mountains, slung his scabbard on his back and followed him. They stopped in surprise and looked up at the ledge above them. On it sat a childlike figure, a boy who seemed no older than eleven years. It was odd that they had not noticed him before for he was in full view: the high bright sunlight picked him out and reﬂected off the shining quartz that surrounded him with a radiant nimbus, which pained the eyes. ‘I have been sent to guide you to the temple of Saraswati, the goddess of wisdom and regeneration,’ said the child, and his voice was mellifluous. ‘You speak the Egyptian language!’ Meren blurted in astonishment. The boy turned the fatuous remark with a smile. He had the brown face of a mischievous monkey, but his smile was so winsome that Meren could not help but return it. For the next two days Ganga led them through thick bamboo forest. The track took many twists and turns and without him they would have lost it a hundred times. As they descended, the air grew warmer and they were able at last to shed their furs and go on bareheaded. Taita’s locks were thin, straight and silvery. Meren’s were dense, dark and curling. On the second day they came to the end of the bamboo forests and followed the path into thick jungle with galleries that met overhead and blotted out the sunlight. The air was warm and heavy with the scent of damp earth and rotting plants. Birds of bright plumage flashed over their heads, small monkeys chattered and gibbered on the top branches and brilliantly coloured butterflies hovered over the flowering vines. With dramatic suddenness the jungle ended and they came out into an open plain that extended about a league to the opposite wall of the jungle. In the centre of this clearing stood a mighty edifice. The towers, turrets and terraces were built from butter-yellow stone blocks, and the entire complex was surrounded by a high wall of the same stone. The decorative statues and panels that covered the exterior depicted a riot of naked men and voluptuous women. ‘What those statues are playing at would startle the horses,’ Meren said, in a censorious tone, although his eyes glittered. ‘Meren has long held the same view,’ Taita remarked drily. Now the path beneath their feet was paved and they followed it to the gateway in the outer wall of the temple. The massive teak gates stood open. ‘The temple maidens,’ Ganga explained. They went through the gateway, and then even Taita blinked with surprise, for they found themselves in a marvellous garden. The smooth green lawns were studded with clumps of flowering shrubs and fruit trees, many of which were already in full bearing, the plump fruits ripening lusciously. Even Taita, who was a learned herbalist and horticulturist, did not recognize some of the exotic species. The flower-beds were a splendour of dazzling colours. Near the gateway three young women were seated on the lawn. When they saw the travellers they sprang up and ran lightly to meet them. Laughing and dancing with excitement, they kissed and embraced both Taita and Meren. The first apsara was slim, golden-haired and lovely. She, too, appeared girlish, for her creamy skin was unblemished. ‘Hail and well met! I am Astrata,’ she said. With one arm round Wu Lu, Meren looked back at the gateway. ‘Where has Ganga gone?’ he asked. ‘Ganga never was,’ Taita told him. ‘He is a forest sprite, and now that his task has been completed he has gone back into the other world.’ Meren accepted this. Having lived so long with the Magus, he was no longer surprised by even the most bizarre and magical phenomena. The apsaras took them into the temple. After the bright hot sunlight of the garden the high halls were cool and dim, the air scented by the incense-burners that stood before golden images of the goddess Saraswati. Priests and priestesses in flowing saffron robes worshipped before them, while more apsaras flitted through the shadows like butterflies. Some came to kiss and hug the strangers. They stroked Meren’s arms and chest, and fondled Taita’s silver beard. At last Wu Lu, Tansid and Astrata took the two by the hand and led them down a long gallery, into the living quarters of the temple. In the refectory the women served them bowls of stewed vegetables and cups of sweet red wine. They had been on meagre rations for so long that even Taita ate hungrily. When they were replete, Tansid took Taita to the chamber that had been set aside for him. She helped him undress and made him stand in a copper basin of warm water while she sponged his weary body. She was like a mother tending a child, so natural and gentle that Taita felt no embarrassment even when she ran the sponge over the ugly scar of his castration. After she had dried him, she led him to the sleeping mat and sat beside him, singing softly, until he fell into a deep, dreamless sleep. Wu Lu and Astrata led Meren to another chamber. As Tansid had done for Taita, they bathed him, then settled him to sleep on his mat. Meren tried to keep them with him, but he was exhausted and his efforts half-hearted. They giggled and slipped away. Within moments he, too, had fallen asleep. He slept until the light of day filtered into the chamber and woke, feeling rested and rejuvenated. His worn, soiled clothing had disappeared, replaced with a fresh, loose-fitting tunic. No sooner had he dressed than he heard sweet feminine laughter and voices approaching down the gallery outside his door. The two girls burst in upon him, carrying porcelain dishes and jugs of fruit juice. While they ate with him the apsaras talked to Meren in Egyptian, but between themselves they spoke a medley of languages, all of which seemed natural to them. However, each favoured what was clearly her mother tongue. Astrata’s was Ionian, which explained her fine gold hair, and Wu Lu spoke with the chiming, bell-like tones of far Cathay. When the meal was finished they took Meren out into the sunlight to where a fountain played over the waters of a deep pool. Both dropped the light garments they wore and plunged naked into the pool. When she saw that Meren was hanging back, Astrata came out of the pool to fetch him, her hair and body streaming with water. She seized him, laughing, stripped him of his tunic and dragged him to the pool. Wu Lu came to help her, and once they had him in the pool, they frolicked and splashed. Soon Meren abandoned his modesty, and became as frank and unashamed as they were. Astrata washed his hair, and marvelled at the combat scars that scored his knotted muscles. Meren was astonished by the perfection of the two apsaras’ bodies as they rubbed themselves against him. All the time their hands were busy beneath the surface of the water. When, between them, they had aroused him, they shrieked with delight and pulled him from the pool to a small pavilion under the trees. Piles of carpets and silken cushions lay on the stone floor, and they stretched him out on them still wet from the pool. ‘Now we will worship the goddess,’ Wu Lu told him. ‘How do we do that?’ Meren demanded. ‘Have no fear. We will show you,’ Astrata assured him. She pressed the full silken length of her body to his back, kissing his ears and neck from behind, her belly warmly moulded to his buttocks. Her hands reached round to caress Wu Lu, who was kissing his mouth and encircling him with her arms and legs. The two girls were consummately skilled in the arts of love. After a while it was as though the three had flowed together and been transformed into a single organism, a creature possessed of six arms, six legs and three mouths.